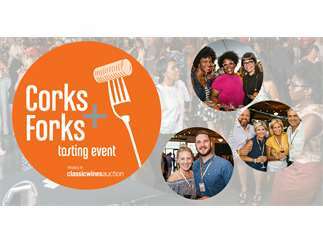 Corks + Forks, presented by Classic Wines Auction, is a relaxed wine and food tasting event where you'll nibble on delicious bites from Portland’s hottest restaurants and sip from the area’s best wineries – all without leaving the city limits. Stop by the event photo booth, enjoy live spins from the DJ Shortchange, taste special pours by guest sommeliers, and get insight on the wine industry from top local experts. New this year! A curated silent auction where you can bid-to-win an array of wine and experiences. 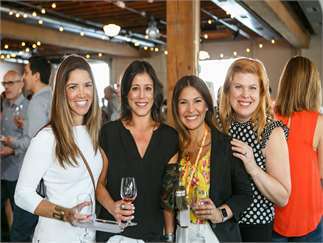 Gather your friends and eat, drink and mingle while experiencing the ultimate urban wine tasting event all in support of five local nonprofit partners. 21+ only please. Proceeds benefit: Metropolitan Family Service, New Avenues for Youth, Friends of the Children - Portland, YWCA Clark County & the Unity Center for Behavioral Health.